Spring is here and summer is around the corner; so it’s the perfect time to start setting up play-things in the yard. 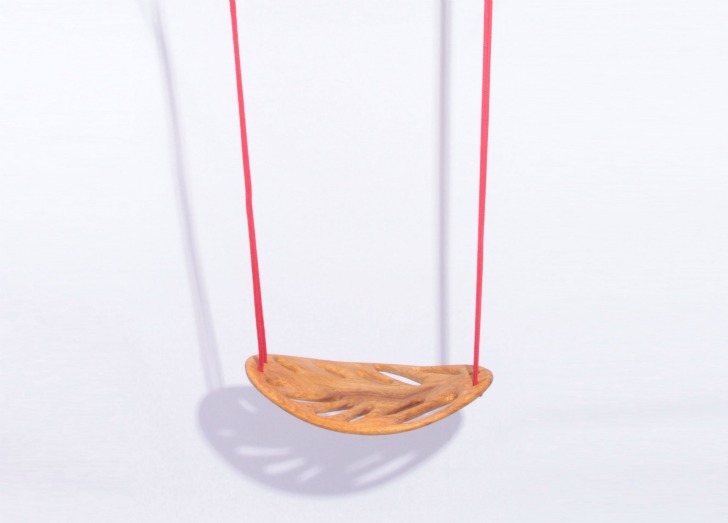 For those readers lucky enough to have a sturdy tree or rafters fit for a swing, this beautiful wooden LEAF swing design is great for playful kids and adults alike, and it also acts as a suspended rocking seat for moments of calm. Taking inspiration from falling autumn leaves, the handmade leaf is shaped from Cerejeira wood, a South American Oak treated to survive different weathers. The swing hangs suspended by ropes and the company offers a choice of colors with customizable lengths to suit different needs. It’s fairly sizable, measuring 55 x 35 x 7 cm and it’s sturdy too, supporting more than 300 lbs. — so it’s suitable for both children and adults. 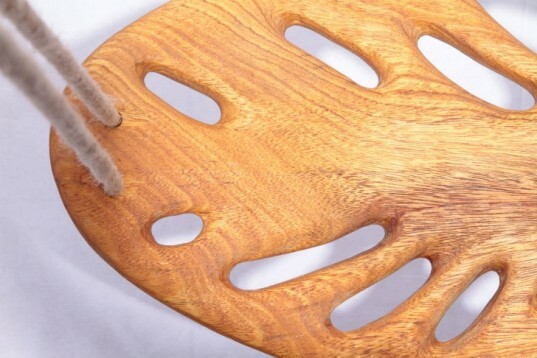 Taking inspiration from falling autumn leaves, Spanish artisan design team EnEssencia crafted the handmade leaf shapes from Cerejeira wood, a South American Oak, treated to survive different weathers. The swing can hang suspended from an overhanging branch or rafter and the company offers a choice of ropes colors with customizable lengths to suit different needs. With spring around the corner its the perfect time to start setting up play-things in the yard. For those readers lucky enough to have a sturdy tree or rafters fit for a swing, this beautiful wooden LEAF design is great for playful kids and adults alike.